It’s interesting how quickly things get distilled in the world of wargaming. The new rules for Warhammer 40k have been out less than a month and already you are starting to see new “realities” emerge. I read blogs, belong to Facebook groups, visit forums, watch live streams and listen to podcasts. This level of information input is light years away from even ten years ago. Then you had forums and even then they were a quantum step up from yahoo discussion groups. As I walked up to the bus this morning I was told that if I’m playing Space Marines then I should forget about Tactical Marines because they are a sub-optimal choice and there is no benefit in them since the new world is one of “character” rather than Troop “tax”. I thought if this is truly the case – and I have no basis to doubt it – then that is really sad. The first reason that it is sad is because, from the fluff point of view, Tactical Marine Squads should form the backbone of every Space Marine army. They just should. The second follows on from this. If they don’t then Games Workshop has got it wrong – at least in terms of Matched Play. And if this was “the most play tested” version of the rules ever then it should have been picked up. 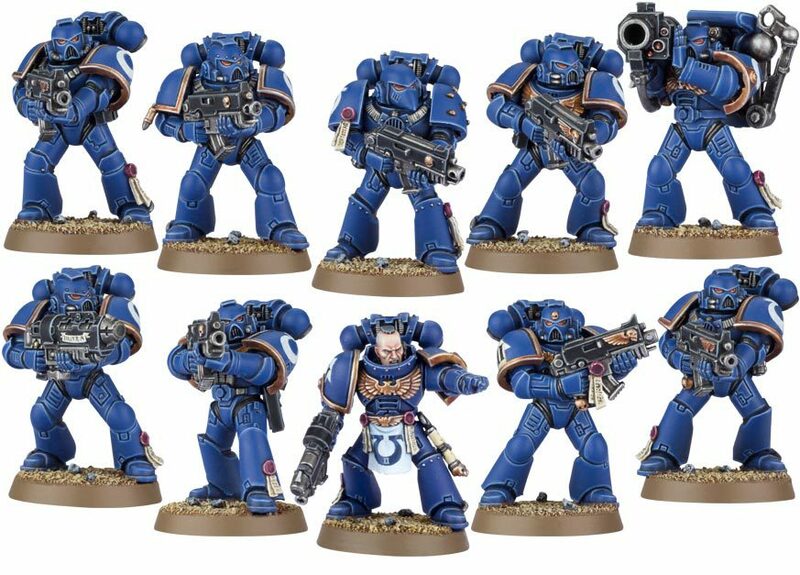 Now I’m sure some cynics out there will say that this is all part of a marketing Master Plan to transition Space Mariners to Primaris Marines but by all accounts these aren’t much better. When after a month, the go-to army for Space Marines is either spammed shooty flyers or Roboute Giuilliman with his Techmarine mate standing in a circle of twin linked lascannon Razorbacks, bought as dedicated Transports for four Devastator Squads then something was missed in the brief. Now this may all change in the next two weeks when we get Codex: Space Marines….I hope so. But if 1-2 months after that release if the most ‘efficient” Space Marine armies don’t have at least 2-3 full strength Tactical Marine Squads or Primaris Marine equivalents then GW has got its fulcrum wrong. Sure, you will get variant armies - for instance you might see SM Bikers etc - but they should be the exception rather than the rule if GW have the Tactical Space Marine building block right. Personally, Matched play should be one Battalion only. Sure there are issues with that too, but its so much easier to balance things around. That or they need to seriously up the punishment for other detachments. After my first game with Grey Knights I don't see any reason to take basic infantry there either, despite all the extras they come with. I have limited experience so far with this edition, but a long read of the rules and reading widely on the net leads me to a similar conclusion. For all their talk and all the GW fan-boyism I don't see any evidence that GW has been at all successful in their talk of making the game more balanced, in fact I doubt it will end up being much of an improvement on 7th. I've still got my Space Wolves and traded an old WHFB army for some Dark Eldar, but my wallet is closed. LOL. You guys just need to play better. Thunderwolves are shithouse. Wil - wasn't 7th all about pregame list hammer? I thought that was the attraction to a lot of players - list design (or more likely download) then remembering a few simple procedures. I'm hoping that isn't the case with 8th. Still a local play group should be able to regulate list construction better in 8th. 6th & 7th 40k were also heavy on list construction. The hope was that 8th being 'the most balanced ever' would reduce this somewhat. It's still early days but doesn't seem the case. Some races have been externally balanced against their peers but internal balance still appears to have significant issues. Perhaps this is only a symptom of the indices, be very interested how the codices turn out. Agreed, 40k has been about listhammer for a long time. But lets be clear, the great promise of this edition was that it would be balanced and improve that issue. Of course that was always going to be a tough ask, with such a large system its inevitable that there will be imbalances and it is these imbalances that tournament players focus upon. Over time, player groups do figure out how to mitigate the really problematic elements of a system (i.e., Pete lite or Hagen's various mechanisms to attempt to make 7th ed 40k viable). And obviously GW and the local 40k metas needs time to work through these, probably a good year. I think everybody wants a robust 40k scene which works for all types of players. Hopefully, this edition as it evolves will deliver that. Hen won BAtB with 3 Squads of Tactical Marines in his army without dropping a point in battle. In a field with 10 Daemon Princes as a list.